After having seen Sean Bean play this role fourteen times, it's hard to picture Paul playing it. But here's proof that he did! 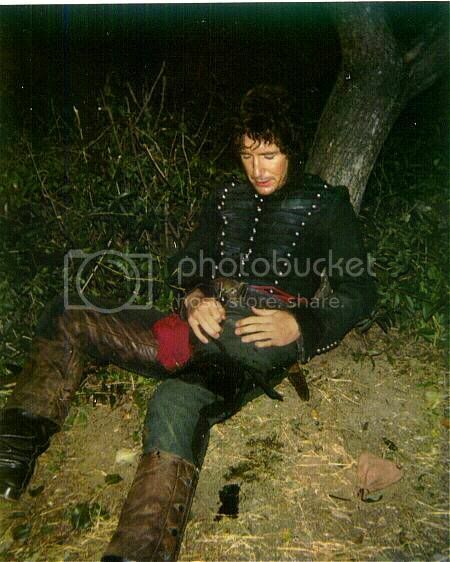 I remember seeing Sean Bean in this exact position, LOL! The Bridge at "Talavera" before they blew it up! RAWR!! Doesn't he suit the uniform? 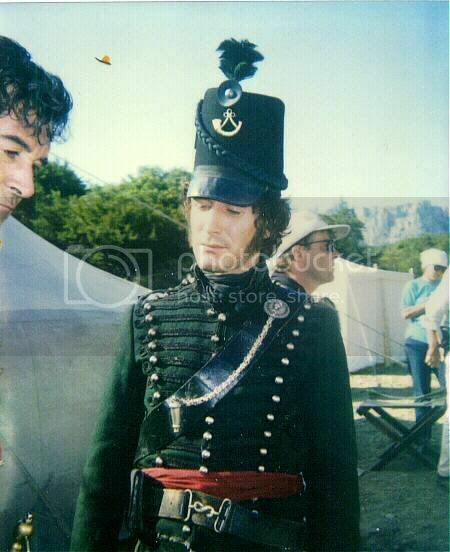 I remember when I first 'discovered' Paul and was shocked when I found out that he was the original Sharpe - I couldn't believe it as I love the series & couldn't help wondering what may have happened had he not been replaced...though would he still have been chosen to portray Bush and could his career taken another direction? Hmmm...come to think of it would those of us who have met him still have had that chance?? I think he was right to sue to be honest - 5 weeks isn't going to allow a broken leg to heal is it?? It sounds strange that he remained in the Crimea for nine weeks following his knee injury. He must have been in horrible pain. Jason Salkey's Making of Sharpe videos was an eye-opener about the conditions there. Whew! They had no water at their hotel, and one of the fellows was fired because he complained about the water. They had to haul water and it came in this rusty old beat up truck. The series came off well on screen. Anyway, it must have been pretty bad. Why did they replace Theresa? 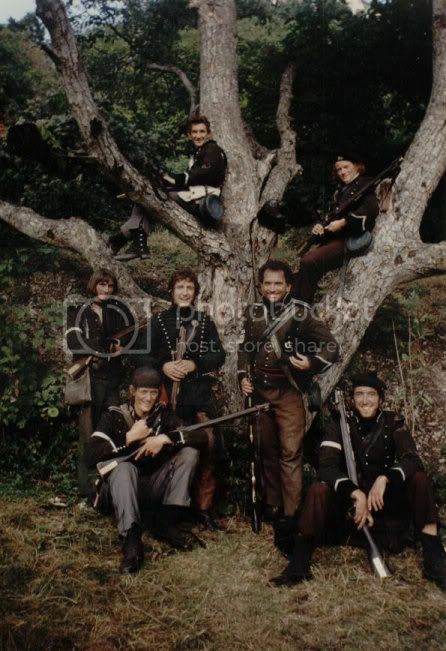 (I don't know much about Sharpe, having only seen a few episodes). 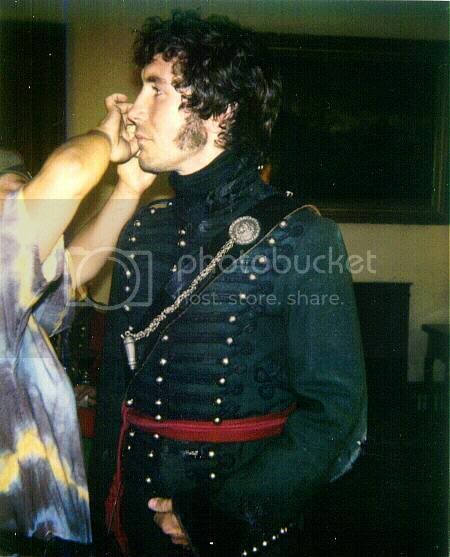 I got these from dreamybritactor's LiveJournal, who in turn, got them off a Jason Salkey website...I only uploaded them to my photobucket account I've saved them since these pre-production photos seem to be quite 'rare'. By the way, I beleive the lady in black behind Paul and Jason is the lovely Annie Milner-McGann. 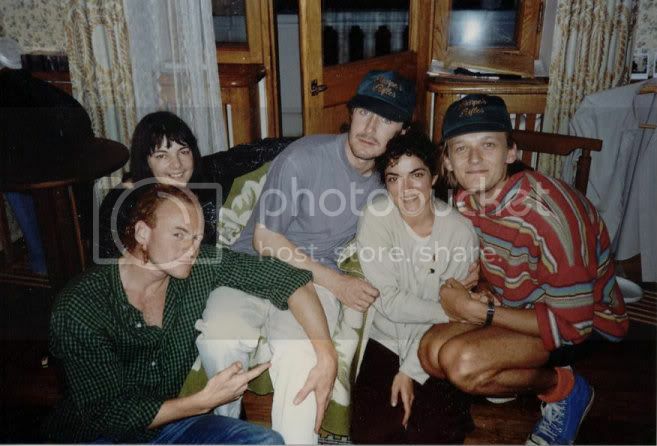 Credit for those two above pictures from Jason Salkey's site: Harris Collection. We got Jason's permission to post them, but we just needed to ensure the proper credit to honor his work. No problems with reproduction on the McGann site, just as long as you credit the 'Harris Collection's. 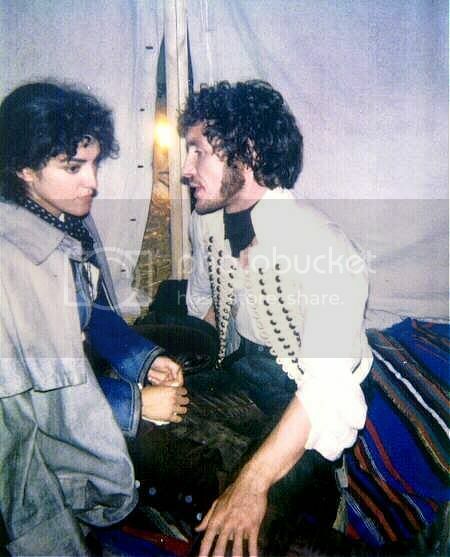 I suppose eventually I could write a little something about my time with Paul on Sharpe. Wouldn't it be great if he did? Thank you SOOOOO much for getting Jason's permission. You're a STAR! And Jason's a STAR! 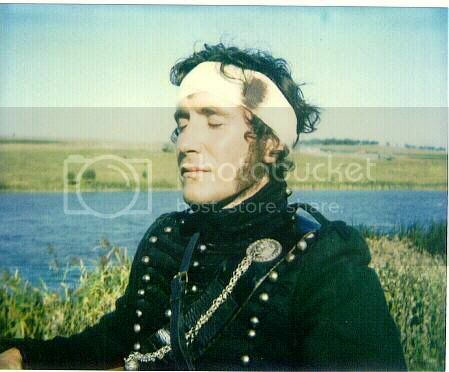 He's been so forthcoming to McGann fans who have written him. 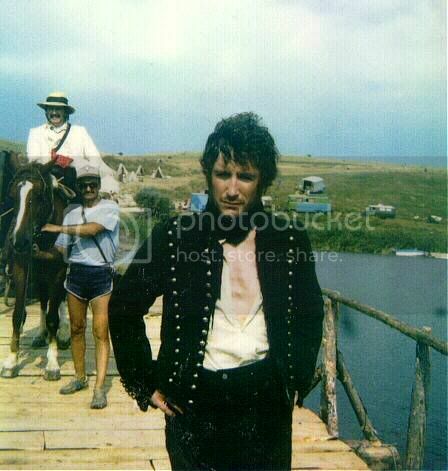 I sure hope one of these days he goes back and documents the "Sharpe McGann Era!" It would be nice to see Jason and Paul work on something together in the future too. They were both in "Fairytale" and it would wonderful to see them back together. Casting -- plain and simple. When Paul went, the actress playing Teresa had to go as well. When you cast "couples" like that, casting directors look for things like physical matches (i.e. height, size, do they look good together) and acting matches (is there chemistry, do they work well off each other?) So, that actress was Paul's match as Teresa, and maybe she didn't work well with Sean, maybe she wasn't tall enough, etc. The actress they ultimately hired as Teresa, I think, was perfect! Yesterday morning I sent Jason a follow-up e-mail after Jenn said she had written him to ask for permission to post his photos of Paul. He also e-mailed me back and said, "No probs!" 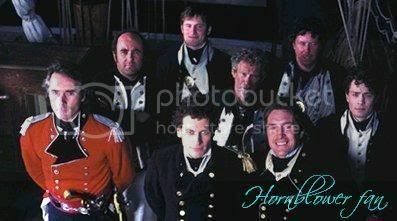 And when I came home from work last night, I found a nice packet of his DVDs about the making of Sharpe. Oh, awesome Estelle! Let us know how they are! Jason was so sweet about the whole thing -- I'm very glad we asked him. Thanks, Down East, for that reminder to be respectful of others' property. I don't think anyone was disrespectful this time around, but it never hurts to get the blessing of the person posting them -- especially if they are original photos and are copyrightable. Things like screencaps, while they take a lot of work, are not copyrightable. I have seen the first Harris video diary, which was a hoot, and an eye opener, but not the following ones yet. And yes, most know screen caps are not copyrightable by the capper but it's nice to give credit for all the time they spent making them. I always appreciate seeing the different shots (a different eye) that people use...and say to myself, hey, I didn't see that when I was capping, that was a good shot, or a unique view I hadn't noticed before! Jason is so nice, he's such a sweetie. He answered many of the questions I had about Paul. Glad you guys got to correspond with him. He's very supportive of Paul's work as an actor, and as a person. Oh, and I totally agree with that, having just learned how to do screencapping myself (OMG it's addicting!) I was only trying to point out why it's important to credit original work, i.e. photos and using screencaps as a contrast. Yes, credit on screencaps is always appreciated (trust me I know), but can't be argued to be legally required.